A video posted by a certain Humoud Al Fajrawi on Facebook sparks laughter among citizens who find the film very funny as the OFW working in UAE (United Arab Emirates) was seen doing the laundry. 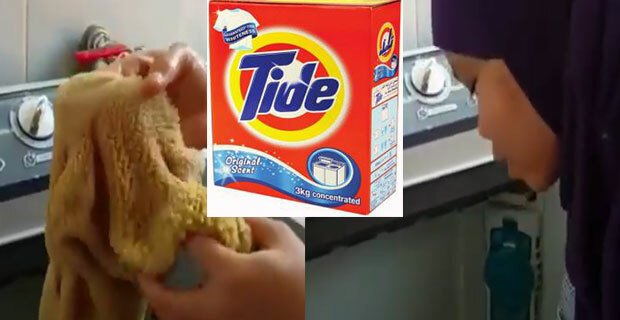 Apparently, the helper showed in the video how she was cleaning the lamb’s intestine which she puts inside the washing machine and adds some detergent in it. She was also explaining in a foreign language which only sparked more chuckling among netizens who can hardly understand what she was saying. However, some of them were able to translate what the OFW was saying. 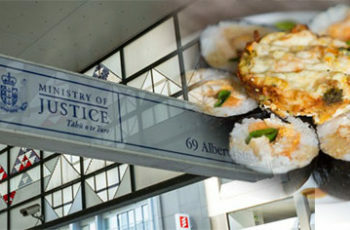 According to one netizen, the employer might have asked the helper to clean the lamb’s intestine. Apparently, people from the Middle East like to eat lamb and the intestine was among their favorite. Definitely, they have the intestines to be cleaned first prior to cooking. 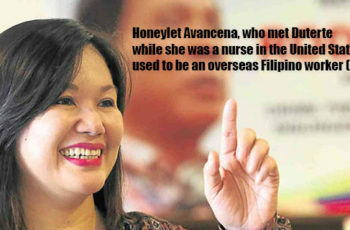 Some netizens found what the OFW did to be smart while funny at the same time, saying she was so candid in finding an easier way to clean the intestines which according to netizens who worked in UAE, were so hard to clean and that it has a fuss smell. More comments brought more giggles to viewers as netizens even suggested to add bleaching agents and fabric conditioners to complete the laundry routine. 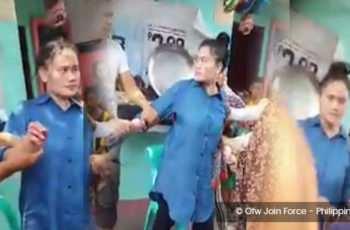 While the real purpose why the OFW posted the video was to show how she cleans the lamb’s intestine, it was said to be fun as it flares up a lot of laughter! 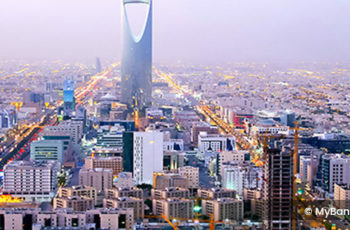 Good News : Yearly Vacations Becomes Mandatory In Saudi Arabia?